All too often public buildings can fall short on creativity, but with the launch of the Design + Construction Excellence Program in 2004, the Bloomberg administration has raised the ante and tapped a number of top architecture firms from around the world to work on a slew of new city projects. The New York City Department of Design and Construction (DDC) announced today that they have selected 26 emerging and leading architecture firms out of pool of 264 applicants to participate in the next wave of the program, including the likes of BIG-Bjarke Ingels Group, nArchitects, and TEN Arquitectos. 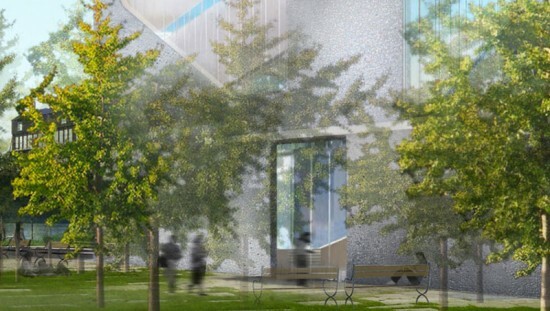 “Working in partnership with these talented architects and DDC’s client agencies, we will continue to build New York’s libraries, firehouses, police precincts, EMS stations, cultural institutions, and other projects with creativity, beauty, and an emphasis on community improvement,” said Commissioner David J. Burney in a statement. From this group of firms, six will be considered for projects costing more than $15 million, and twenty will be assigned to projects of less than $15 million. The DDC selected the following twenty firms for the under $15 million group: Abruzzo Bodziak Architects, Bade Stageberg Cox Architecture, Belmont Freeman Architects, Biber Architects, Cooper Joseph Studio, FR-EE Fernando Romero Enterpris, Gray Organschi Architecture, Hanrahan Meyers Architects, Leroy Street Studio, Levenbetts, Matthew Baird Architects, Monica Ponce de Leon Design and Architecture, Moorehead & Moorehead, nArchitects, Rice + Lipka Architects, Smith-Miller + Hawkinson Architects, Spacesmith, Studio SUMO, WXY, and Yoshihara McKee Architects. The six firms that will focus on projects of more than $15 million include: Allied Works Architecture, BIG-Bjarke Ingels Group, Ennead, Steven Holl Architects, Studio Gang Architects, and TEN Arquitectos. 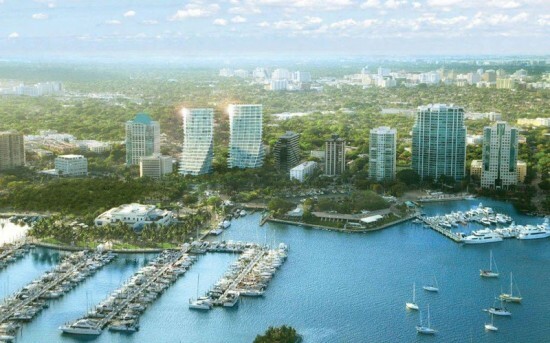 The renderings just keep coming. And, after a recent groundbreaking, a building will too. With projects on their way in New York, Phoenix, Washington, D.C., Miami, Paris, Copenhagen,and Tianjin, China, Bjarke Ingels has just broken ground again, this time on the Faroe Islands off the coast of Denmark, where, in typical BIG fashion, he will lay down the largest building on the small, self-governing archipelago. Located on a hillside outside the capital-town of Torshavn, the new Marknagil Education Center will gather three of the country’s educational institutions under one roof. 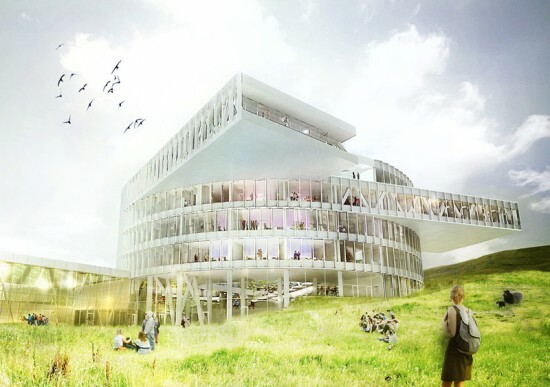 The building will house more than 1,200 students and 300 teachers—from Faroe Islands Gymnasium, Torshavn Technical College, and the Business College of Faroe Islands—within a white, cylindrical vortex. The building focuses inward while integrating itself into the landscape, centering around an open rotunda designed as a gathering point for cross-disciplinary exchanges, while reaching out into the surrounding hills with rectangular projections. 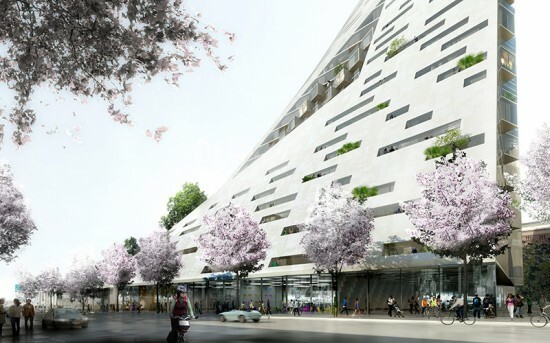 BIG has released a substantial collection of renderings for the project, a selection of which can be viewed below. 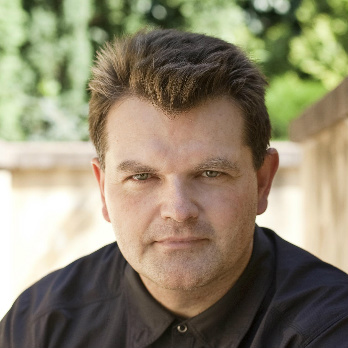 Fourteen architecture students will be thinking BIG this spring as the NewSchool of Architecture and Design (NSAD) in San Diego teams up with Bjarke Ingels Group to offer a design studio led by Kai-Uwe Bergmann (pictured), partner and director of business development at the world-conquering firm. Starting in April, students will explore the impact of freeways along key sections of the coast, with San Diego acting as an urban laboratory. They'll also be asked to propose uses to make freeways like the I-5 more community-friendly. Working directly with Bergmann, the budding architects will also get an immersion in the firm’s “Yes is More” and "Hedonistic Sustainability" philosophies. “When we explored themes with BIG for this NSAD studio, from the start their interest was in something that would have an impact, such as dealing with large urban systems, patterns or infrastructure,” Kurt Hunker, NSAD director of graduate programs said in a statement. 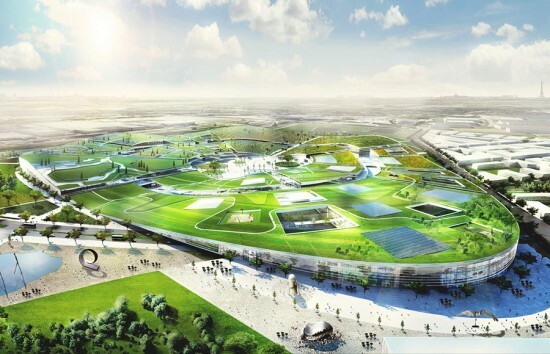 Against all odds, BIG-founder Bjarke Ingels is actually building a mountain-slash-ski-slope-slash-waste-to-energy-power-plant in his hometown of Copenhagen. Announced in 2011, the project nearly stalled during the approval process, but officials in the Danish capital broke ground on the facility on Monday. 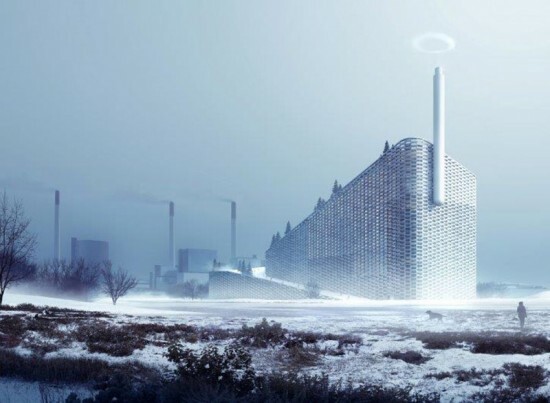 Called the Amager Bakke Waste-to-Energy Plant, the structure represents Ingels' concept of Hedonistic Sustainability, the notion that a sustainable building shouldn't only be green, but should also be fun. 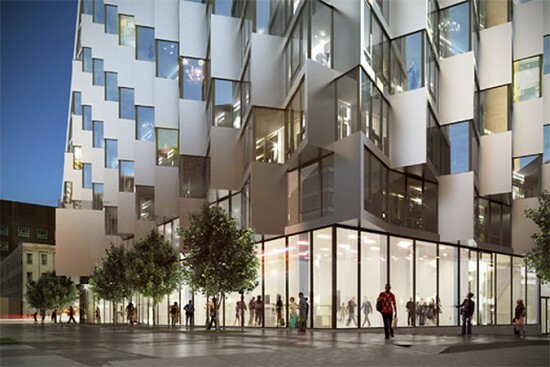 And the Amager Bakke design certainly will be a tourist draw to Copenhagen's industrial waterfront, inviting visitors to ascend to the top of the facility via elevators and ski down its sloping rooftop year round. Several slopes to accommodate varying skill levels are included on the roof where a synthetic material serves as snow. Evergreen trees at the periphery of the slopes complete the Alpine scene. The facade is imagined as a checkerboard modular planters resembling oversized bricks with windows with facing an interior atrium in between. A slender chimney at the building's peak, updated from the original design, releases smoke rings periodically, indicating when one ton of CO2 has been released into the atmosphere. In 2011, the price of the incinerator was estimated at $645 million. 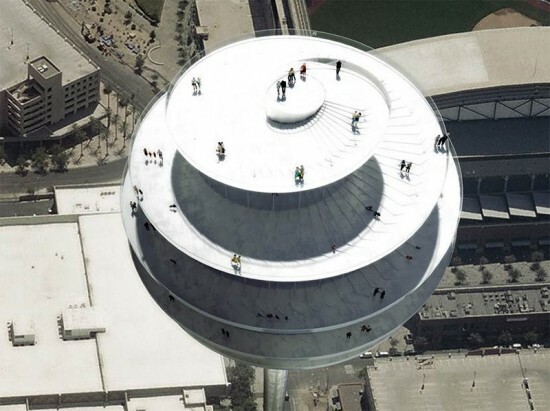 Phoenix-based developer Novawest wanted a new signature project for the city's downtown, an observation tower from which to admire the far-off mountain ranges and dramatic Southwestern sunsets, so Bjarke Ingels proposed to scoop out the spiraled negative-space of New York's Guggenheim Museum rotunda and plant it 420 feet above downtown Phoenix. Ingels' "Pin," a 70,000 square foot observation tower is elegant in its simple form, a ball on a stick, indeed evoking some far away Gulliver on a real-life version of Google maps finding his way to the Sun Belt. In another light, Phoenicians could ostensibly see a larger-than-life Chupa Chup or an upended mascara brush, but that's the beauty of pure form, right? Visitors will be able to ride one of three glass elevators up the reinforced concrete core to the top of the Pin's observation spiral, where flexible exhibition, retail, and recreation spaces will showcase panoramic views of the surrounding region and descend, round and round, to a restaurant in the lower portions of the sphere. "Like the monsoons, the haboobs, and the mountains of the surrounding Arizonian landscape, the Pin becomes a point of reference and a mechanism to set the landscape in motion through the movement of the spectator." 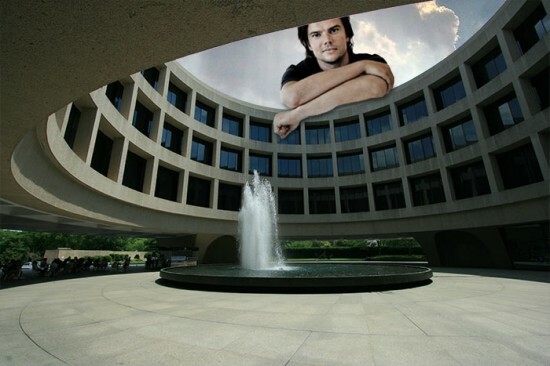 Bjarke Ingels, principal at BIG, said in a statement. "Like the Guggenheim Museum of New York offers visitors a unique art experience descending around its central void, the motion at the Pin is turned inside-out allowing visitors to contemplate the surrounding city and landscape of Phoenix. Like a heavenly body hovering above the city, the Pin will allow visitors to descend from pole to pole in a dynamic three dimensional experience seemingly suspended in midair." 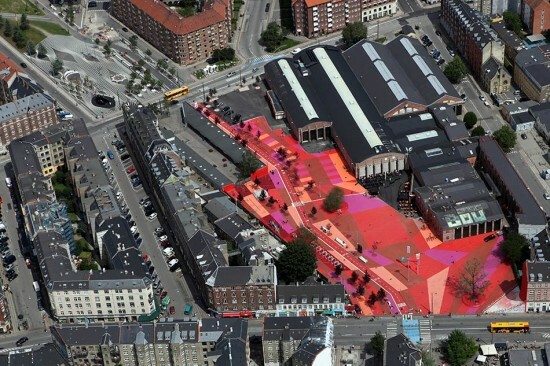 An inventive new park in Copenhagen’s Norrebro district, "Superkilen," designed by Bjarke Ingels Group (BIG), Superflex, and Topotek 1 serves as a sort of cultural collage of artifacts sourced from 60+ nationalities. Superkilen slices its way through the center of the city, soaking up and flaunting its inhabitants’ diverse cultural backgrounds along the way. The kilometer-long wedge of urban space, completed this summer, is divided according to use into three distinct color-coded zones and sports bike paths linking directly to Copenhagen’s cycling highways. The park’s "urban furniture" integrates a range of symbolic and functional items from all over the world. Armenian picnic tables join Iraqi swings, Brazilian benches, Chinese Palms, Islamic tiled Moroccan fountains, and an Indian climbing playground, among others. A "Green Park," almost entirely green, offers trees, plants, and grassy hills suitable for sunbathing, sports, strolling, and picnicking. The "Red Square" is brightly painted in geometric patches of radiant reds, oranges, and pinks and is intended for recreational use with indoor and outdoor sports arenas and exercise facilities. Locals can gather and mingle at the "Black Square," which acts as the city’s “urban living room,” and play a game of backgammon beneath a Japanese cherry tree, illuminated by a giant neon-red star from the USA. Denmark has chosen one of their own, the Copenhagen and New York-based Bjark Ingels Group (BIG) to design the Blåvand Bunker Museum, a structure to be located—or more specifically embedded—in a historic seaside site where German forces occupied Denmark during World War II. Ingels slices into the landscape and builds lightly out of glass atop the ruin of a massive concrete bunker, all of which will be recreated to serve a completely different purpose. 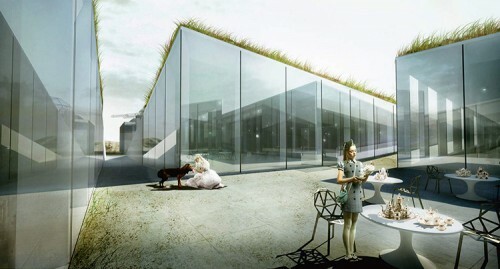 The eye is immediately drawn to what looks like a pair of massive glass guns sitting atop the concrete bunker adjacent an incised hilly landscape of grass-covered dunes, creating a surreal Wonderland on the Danish coast, although it's unclear how Alice, a cheshire cat, and a late rabbit (all of which appear in the renderings) are connected to a World War II museum. The museum's entrance is accessed through a gap in a landscape that appears sliced and peeled back, allowing Ingels to preserve the old bunker's impermeability. Visitors are guided from paths traversing the hilly landscape into a sunken courtyard defining four distinct volumes behind glass walls, providing views of the galleries and hints of what's inside. The four split units—each with different functions—hold three museums and one special exhibition gallery. Inside the lower levels of the museum, an underground tunnel connects to the adjacent bunker and gun turret. Rising from the stronghold of the bunker, a dramatic spiral staircase ascends to a gun turret reimagined as a greenhouse-like glass room, contrasting the rough concrete of the existing bunker. The guns themselves house telescopes looking out onto the North Sea. The Blåvand Bunker Museum presents the old and new in a delicate balance, allowing bright skylights and modern white staircases to play off the ominous aura of a war bunker.